When I was younger I spent a lot of time painting outdoors. 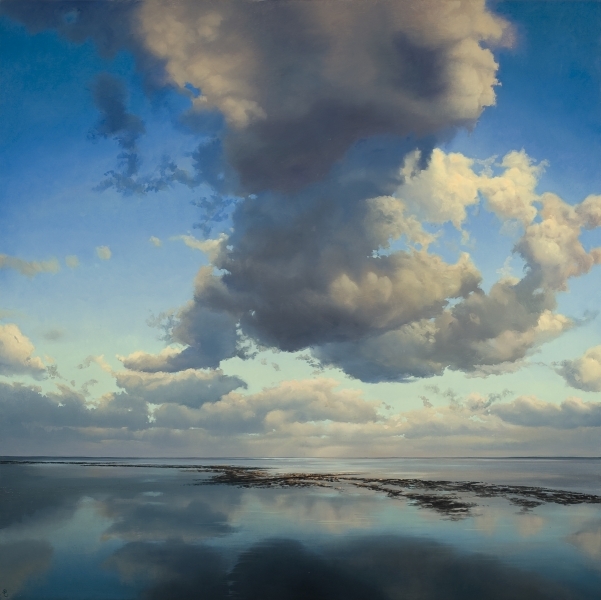 In the summer I took off to the Dutch islands, to draw and paint the beaches, the dunes and most of all the skies. I learned a lot during these years, most of all because you had to work fast. The light changes suddenly on these islands and before you know, a cloud blocks the sun and the landscape is totally different. What I learned most of all is the importance of observation. Just from watching a sky you learn an awful lot and that will be of great use later on, when you try to paint it. It’s a bit like the old Chinese masters, who (as the story goes) sat in a landscape for hours on end, went home and painted it in just a few minutes. 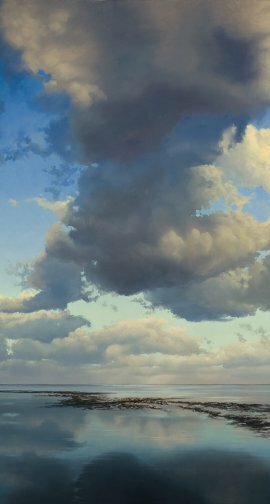 I’m no Chinese master and it takes me more than a few minutes to paint a decent sky, but observation is the start if you want to know how to paint skies.